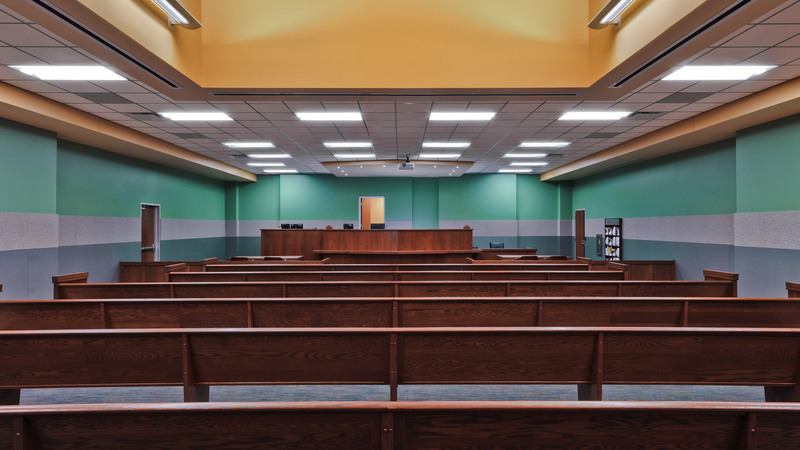 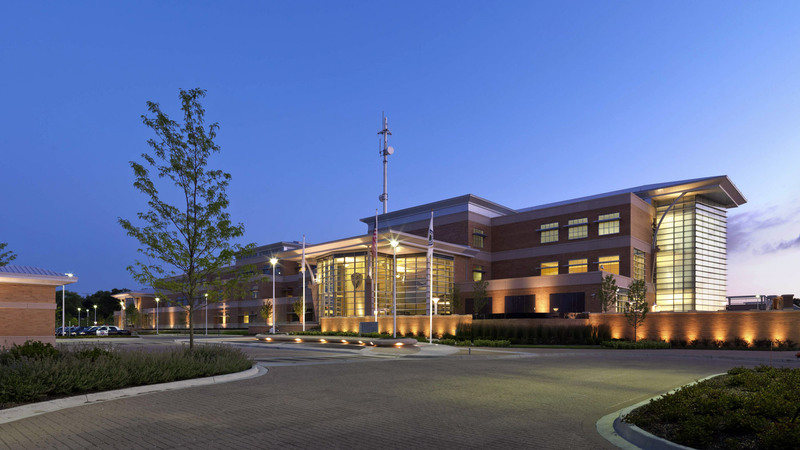 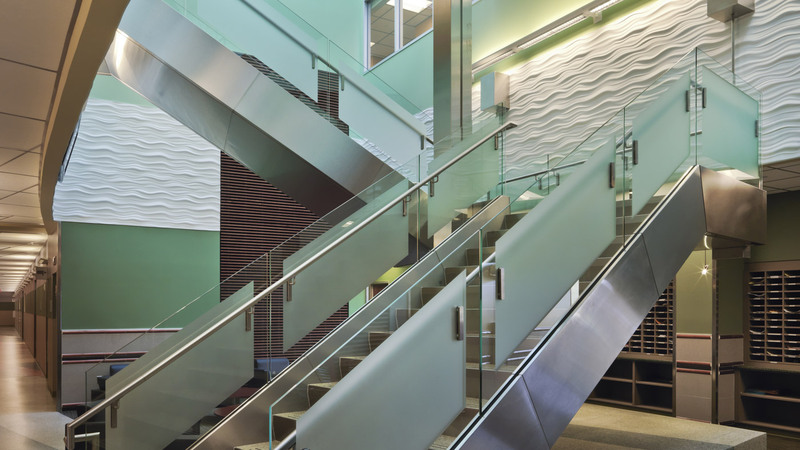 The design for the Aurora Police Headquarters and Branch Courts features state-of-the-art technology, substantial increases in the amount of physical space, and sustainable, LEED Gold Certified architecture. 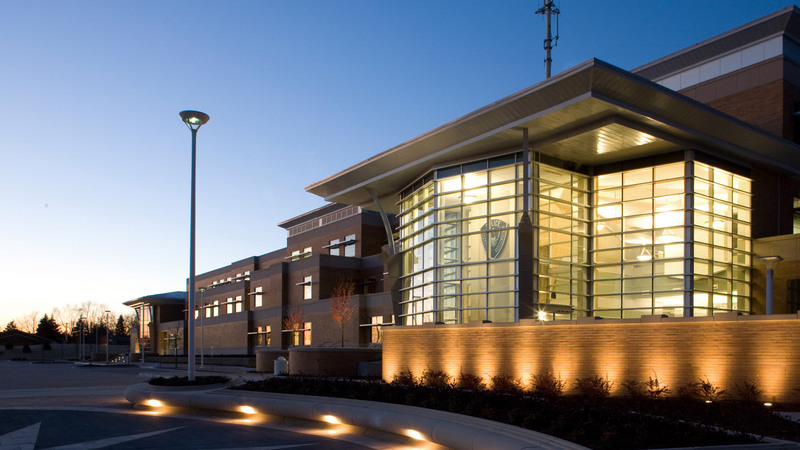 The Police Headquarters is classified as a "green" building due to its incorporation of on-site renewable energy technologies and conservation techniques, optimized daylighting, water efficient landscaping, and technologies that reduce water use by 50%. 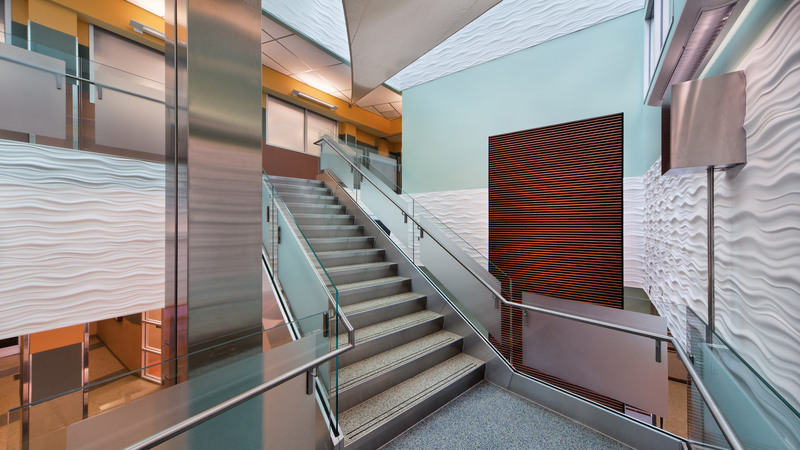 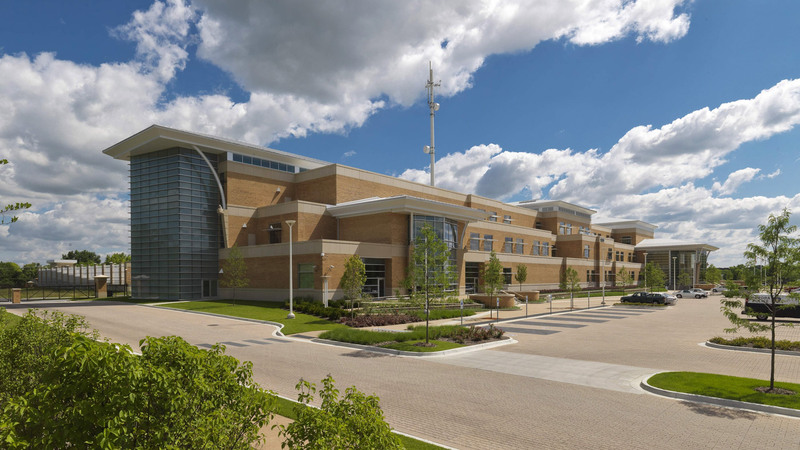 Additional LEED design credits include: Fundamental Commissioning of the Building Energy Systems; Development Density & Community Connectivity; Alternative Transportation, Roof Heat Island Effect Mitigation; and Light Pollution Reduction. 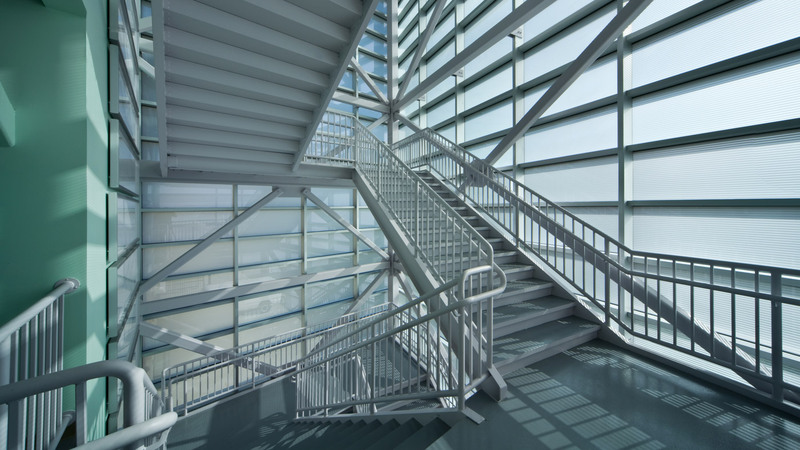 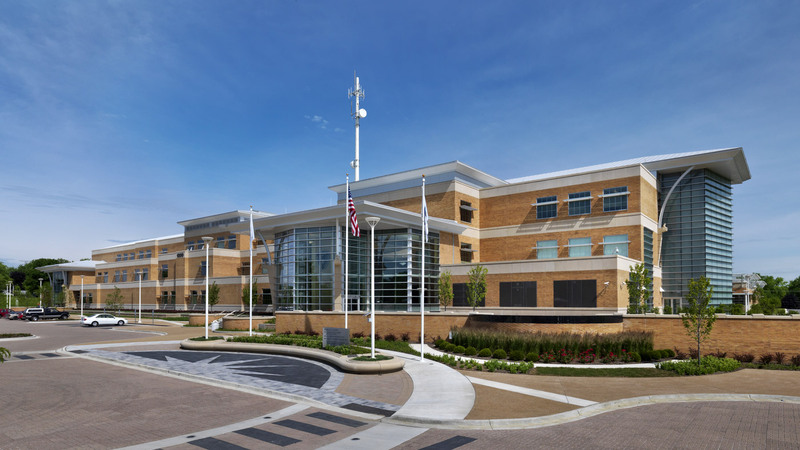 The City's Public Safety Complex features energy efficient and sustainable technologies throughout the 360,000 SF complex with the help of a $135,000 grant from the Illinois Clean Energy Community Foundation. 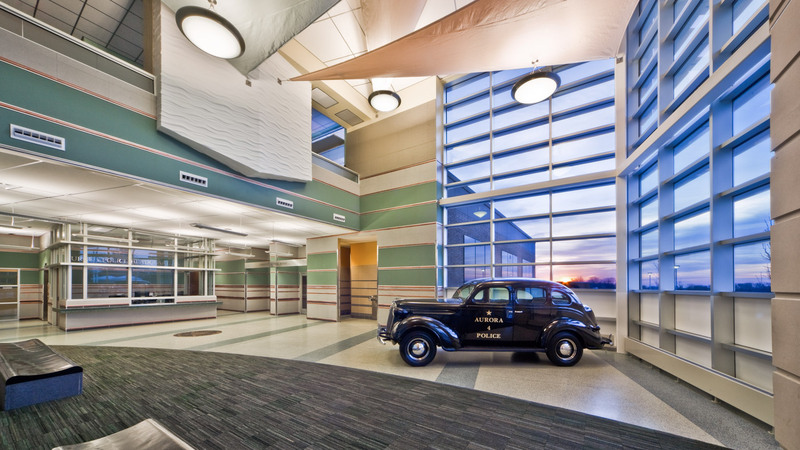 The facility is LEED BD+C Gold Certified. 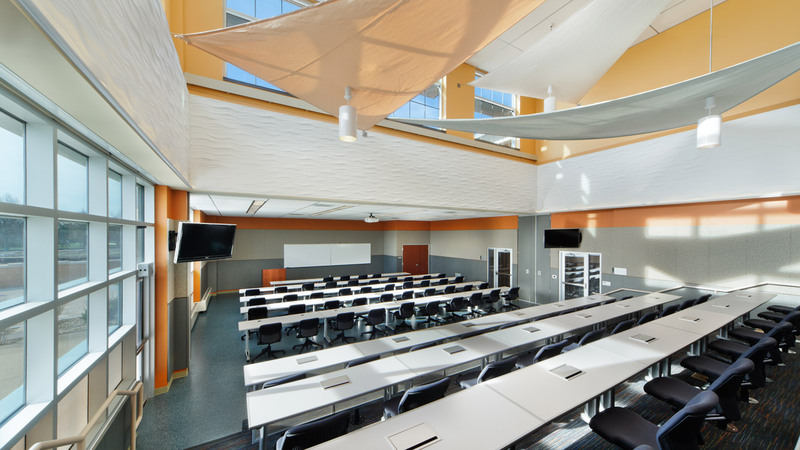 41,000 SF Training & Support Facility: Gun Range, Evidence Storages and Forensic Laboratories. 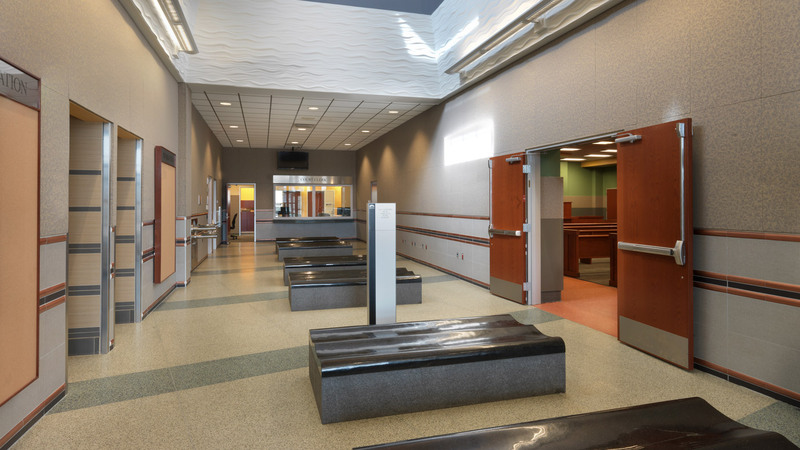 Cordogan Clark & Associates teamed with public training and safety design specialists McClaren Wilson Laurie for this important project.